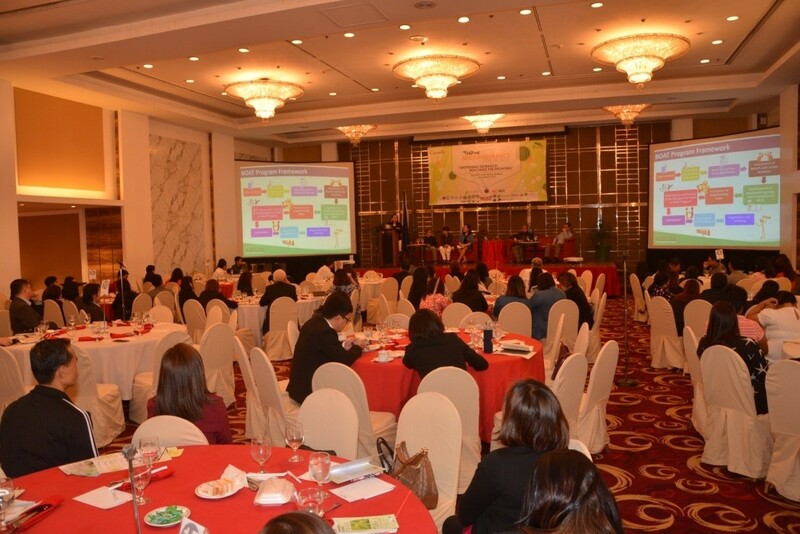 The Microinsurance MBA Association of the Philippines (RIMANSI) held the 2018 National Microinsurance Forum, in conjunction with National Microinsurance Month last January 25 at the Century Park Hotel Grand Ballroom in Manila. The annual event was organized with the support of Bagong Araw Philippines: Rebuilding through Microinsurance and Women’s Microenterprises (PREMIUM) Project, a project funded by the Co-operative Development Foundation of Canada and the Government of Canada to help sari-sari storeowners in Leyte and Samar provinces break the cycle of vulnerability to calamities like Yolanda by providing needed business training, insurance protection and financing to expand or upgrade product offerings. Attending the event were more than 200 of the country’s microinsurance stakeholders – from microinsurance mutual benefit associations (Mi-MBAs) and microfinance institutions (MFIs) nationwide, regulators, policy and supervisory agencies, private insurance companies and intermediaries, international development organizations, technical service providers, promoters and supporters of microinsurance. The Keynote Speakers of the Forum were Canadian Ambassador John Holmes and Insurance Commissioner Dennis Funa. 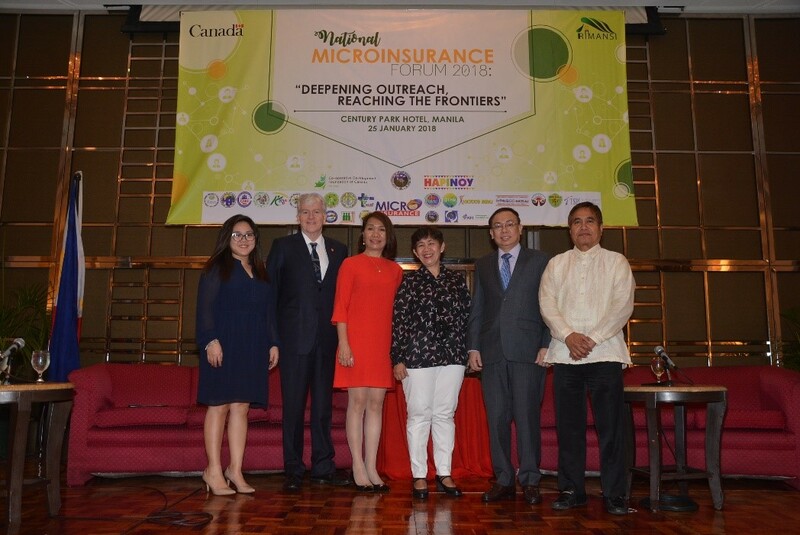 Ambassador Holmes shared Canada’s support for the rehabilitation and recovery of Yolanda-hit provinces through microenterprise and risk protection development initiatives including the development of a non-life calamity microinsurance for sari-sari stores; and Insurance Commissioner Atty. Dennis Funa emphasized positive growth of the insurance industry from all indicators, including microinsurance coverage of now 32 million Filipinos, and the issuance of an enhanced framework for insurance providers to use mobile applications in the distribution of insurance products. Citi Philippines CEO Aftab Ahmed, a key supporter for financial inclusion and microinsurance development provided the opening message of the forum. Mr. Ahmed imparted Citi’s initiatives in promoting greater financial inclusion in the Asia-Pacific region, especially in the Philippines. The forum featured panel sessions on the future directions of MFIs, pilot initiatives of Mi-MBAs in reaching the hard to reach areas, non-life calamity microinsurance and the government’s subsidized agricultural insurance program. Dr. Aris Alip, the Founder and Chairman of CARD Mutually Reinforcing Institutions and one of the forum panelists underscored still the critical role of face to face social interaction with microfinance clients and microinsurance members and policyholders even in the advent of mobile distribution system. In addition, he emphasized the importance of 1-3-5 days claims settlement time as a big competitive advantage of Mi-MBAs. Overall, the discussions demonstrated prospective growth of MFIs with more than 5 million unserved households that could potentially be the source of growth of microinsurance providers especially Mi-MBAs. In addition, the partnership with non-traditional channels of microinsurance distribution is promising but has to face the challenge of operational systems and efficiency. Moreover, there is a wide range of life, non-life, pre-need and agricultural microinsurance and risk protection products available in the market but consumer education and literacy, efficient distribution and connectivity, among others remain as key challenges for the microinsurance sector. MiMAP (RIMANSI) is a microinsurance resource center and association of 19 Mi-MBAs regulated by the Insurance Commission in the Philippines, with a combined membership of 5.34 million households nationwide, insuring 17.92 million lives from its basic family life insurance program that covers at least four family members, while only paying a single premium. In 2017, Mi-MBAs’ contributions and premiums reached P3.68 billion, reserved P1.52 billion in equity value, and paid P908 million in claims benefits. The Mi-MBAs have a shared mission of reaching 12 million members by 2024, insuring 48 million lives (12*24*48). RIMANSI is a partner in the PREMIUM Project, along with CARD MRI and Micro Ventures Foundation or HAPINOY.